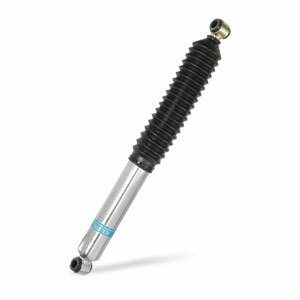 This Bilstein 5100 Series rear shock absorber that fits lifted '13 -'18 Ram 3500 4WD trucks is valved for off-road use, and has a longer piston travel to accommodate lifted suspensions. Since it is valved for off-road use, you should expect the shock to feel stiffer than a "street" shock like the 4600 Series. NOTE: Excludes air leveling suspension. NOTE: The Bilstein 5100 Series rear shock absorber is recommended for Ram 3500 trucks with up to a 1" leveling kit installed on the front suspension. The Bilstein 5100 Series shocks are not designed for a SPECIFIC Dodge Ram application. They are a "multi-application" shock that will fit the Dodge Ram trucks with stock height, up to 2" lifted, front suspension. For stock, vehicle-specific applications, see the Bilstein 4600 Series Yellow/Blue shocks. 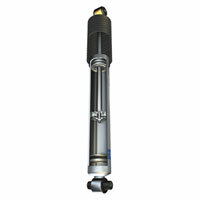 NOTE: Bilstein Shock Absorbers are sold as individual units. If you need a pair of shocks, increase the quantity desired to 2.